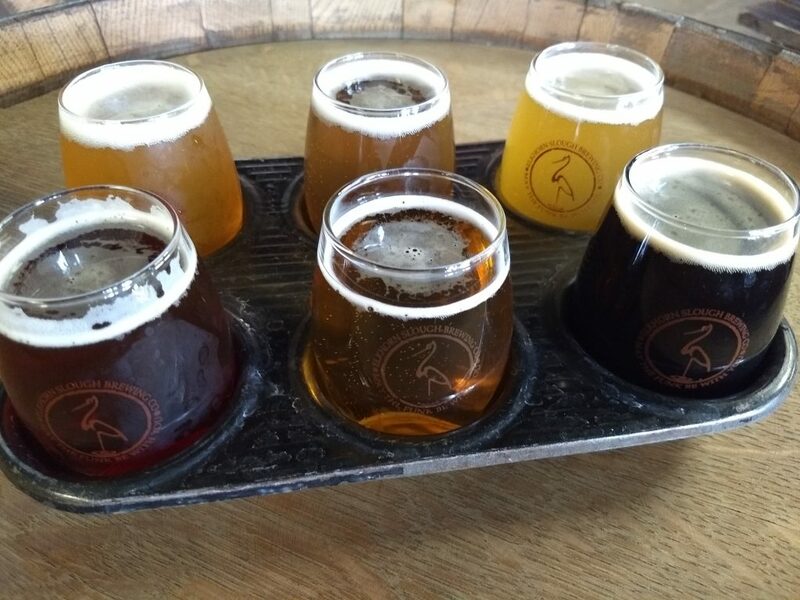 Elkhorn Slough Brewing Co. is one of a growing number of breweries ringing the wide half-moon arc of Monterey Bay. Located in a semi-industrial neighborhood on the northern outskirts of Watsonville, it is a surprisingly cozy place given its surroundings. 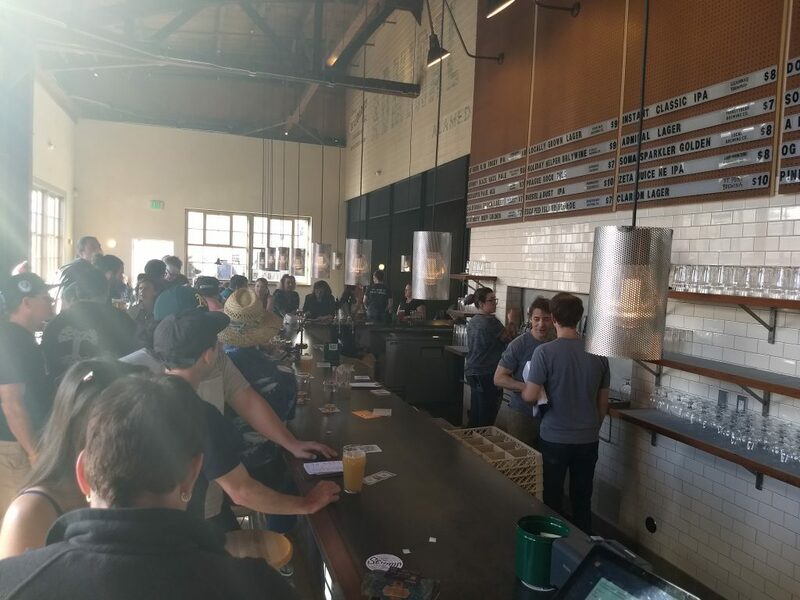 There are several couches and armchairs arranged between the no-frills bar and the space given over to the 7-bbl brew-house, forming little nooks for patrons to sit at, drink, and talk. There is clearly a sizeable corps of regulars and most seem to be on a name-basis with the servers. Moreover, the place is decidedly dog-friendly (servers even know the regulars’ dogs by name!). The vibe is friendly and open. 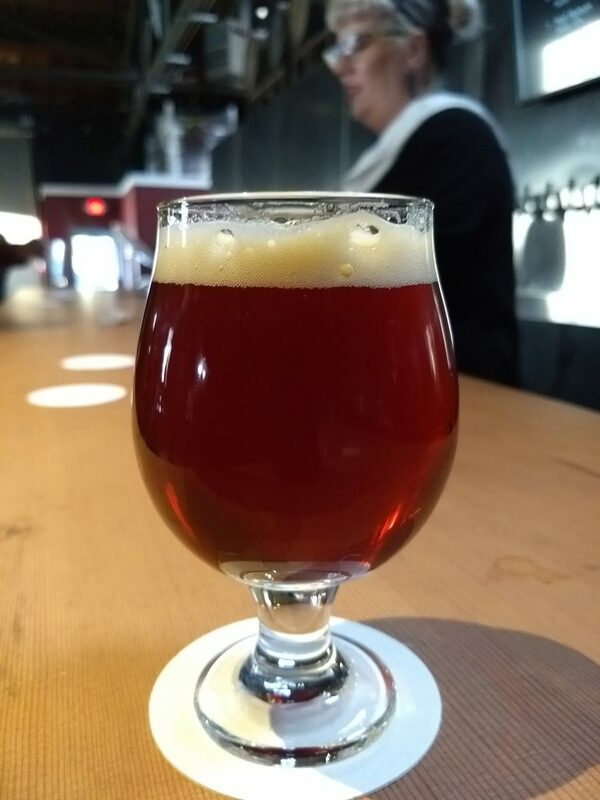 In fact, I got to chatting with one of the regulars, a former cop named Dave, who, upon learning it was my first time at the brewery, insisted on buying a me few beers, so I could try some beyond the flight I had ordered. The beers are quite enjoyable. A solid line-up. 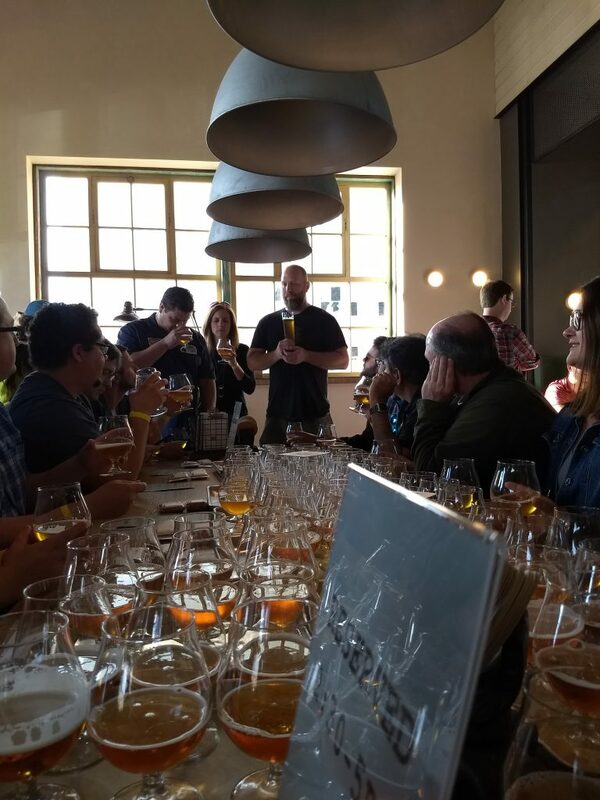 Elkhorn Ale, a smooth, copper-colored, 6.7% abv California lager, and Pajaro Gold, a 5.9 ABV ale, seem to be their flagship beers. Both are admittedly nice, but I was drawn more to their selection of wilder brews. 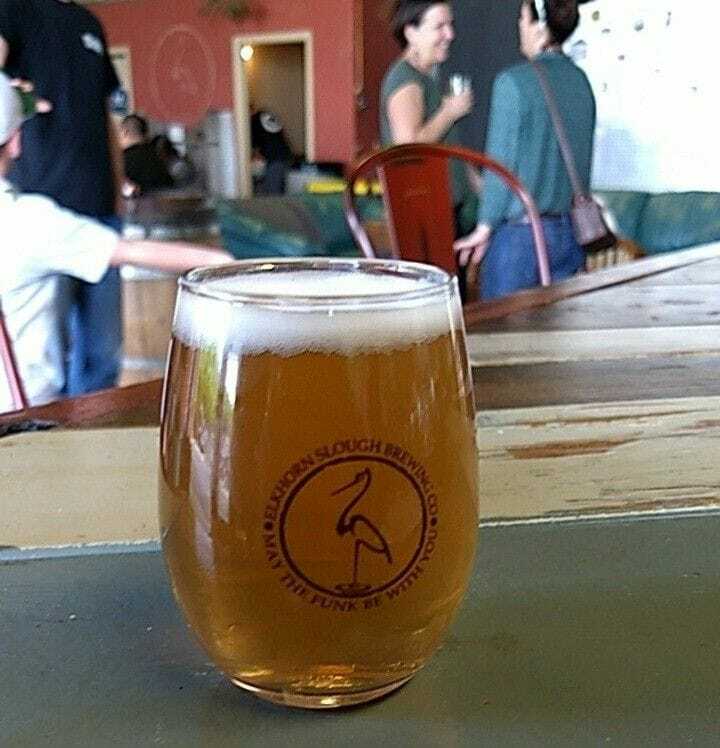 Sucrosity is a “wild farmhouse wheat beer aged in Chardonnay barrels”. It is mildly sweet-tart, with notes of fruit and plum. It checks in at 6.8% ABV. 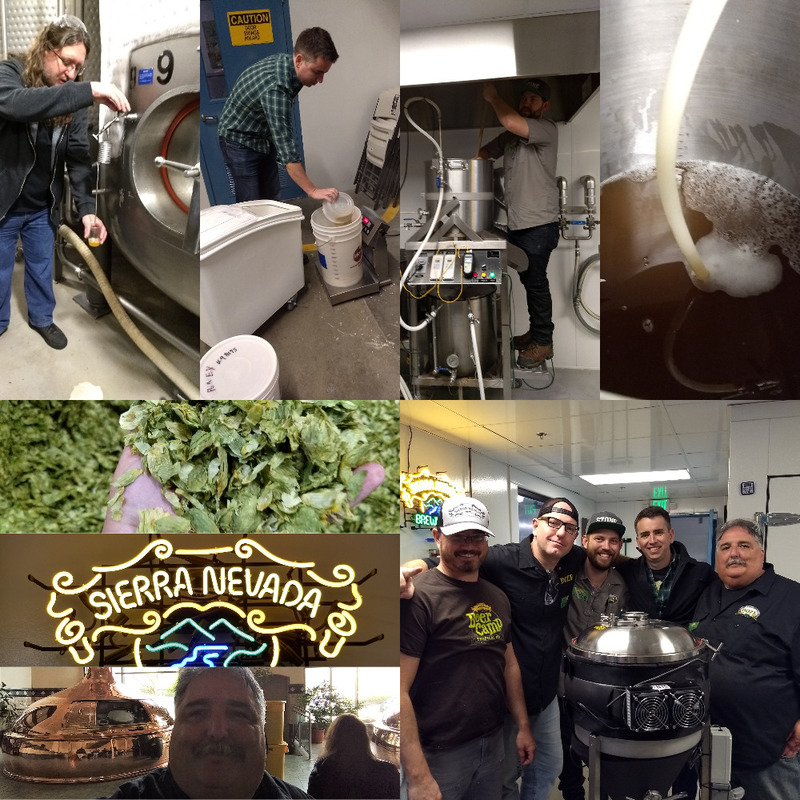 Lemon Kush is a Tequila barrel-aged sour-mashed “wild” lemon gose. It has ample notes of citrus, with a touch of spice. 6.2% ABV. My favorite, I’d have to say, was probably Green Jewel. It is a 7.2% ABV “barrel-aged wild sour blonde ale with Cannabis terpennes”. Green Jewel is golden in color, light-bodied, with a mild tartness. Ghost Town Brewing opens the doors to its taproom and brewery to the public tonight after a long wait and many hurdles. I had the opportunity to visit last night at its soft opening event, and I must say the place is very nice indeed. It is located in a large warehouse space, split roughly down the middle between the shiny 15-bbl brewhouse and assorted fermentation tanks, and the serving and public areas of the house. With plenty of room at the bar, lots of seating, and a corn-hole court, the taproom is the kind of place that makes you just want to hang out. Hang out and drink beer. 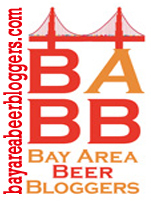 As to the beers -crafted by Justin Burdt, recently of the now-closed Black Diamond Brewing Co.- are all excellent. 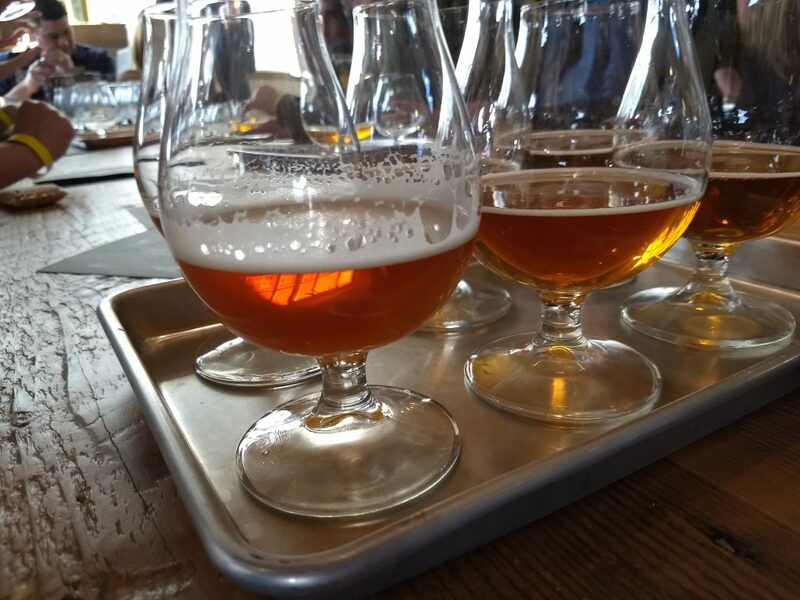 I tasted a fair selection of what they had on offer and there was not one that would quibble with, but I would particularly recommend asking for Lecherous Haze, a 6% NE IPA; Melmac, a 5.5% pale ale; or Old Trepanner, 10.7% barley wine. 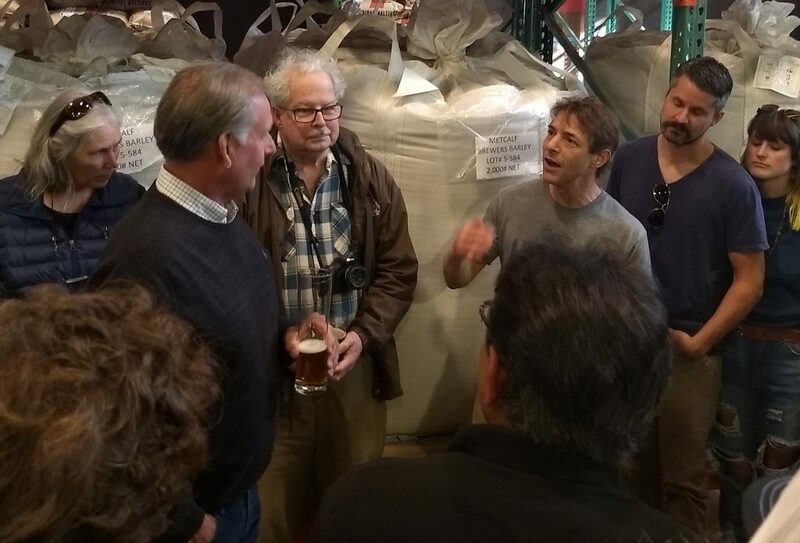 The Rake is Admiral Maltings‘ own taproom, attached to the malt house in Alameda. 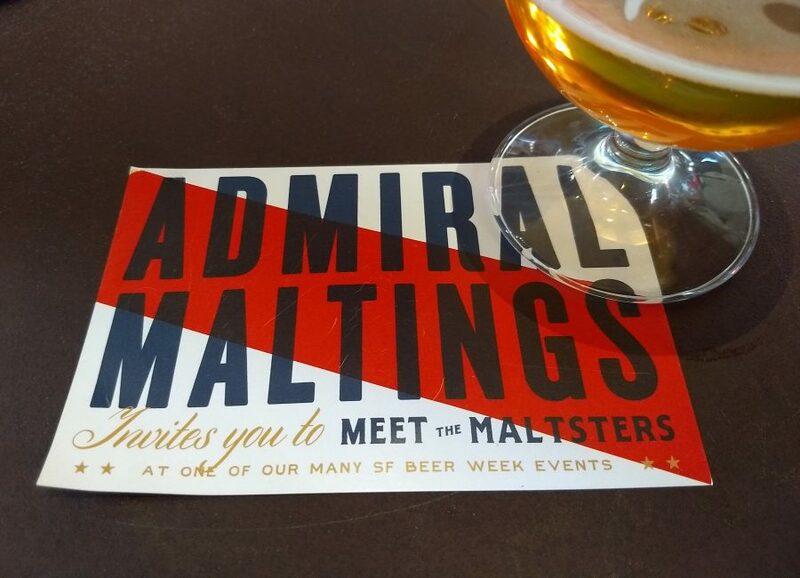 The Rake has the distinction of serving only beers made by local breweries using Admiral Maltings’ own malts. 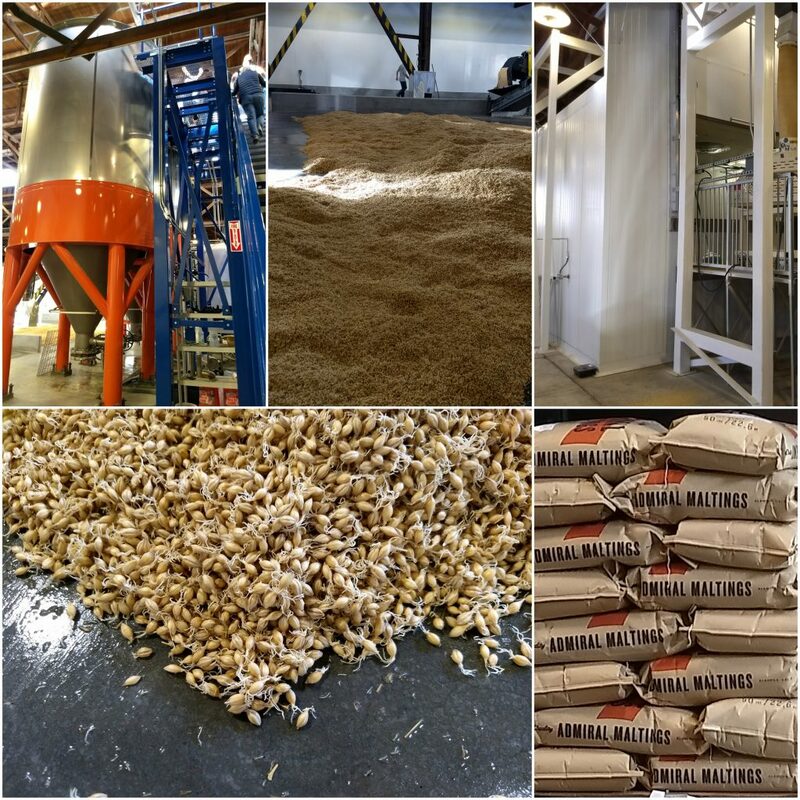 And, for the cherry on top, it is one of the very few beer bars –probably the only one, in fact– which overlooks the very malting floor where that malt is produced!